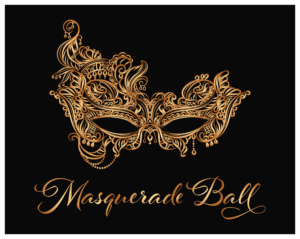 Prom 2019 | Home Education Partnership of Texas, Inc. 1.) Will my choice of attire add to or detract from my witness and testimony as a Christian? 2.) Will my choice of attire honor GOD in all respects? 3.) Will my participation in the Gala create a memory for others and myself that I am willing to live with and positively reflect upon for the rest of my life? There can be considerable difficulty in obtaining stylish and, yet, modest attire in today’s world. This is especially true for young ladies’ formal dresses. The “fashion” styles of the world for both young men and young ladies have seriously departed from the traditional custom formal style of the past when they generally reflected Christian values. Formal means the wearing of a Tuxedo or suit with a dress shirt, tie, socks and dress shoes. 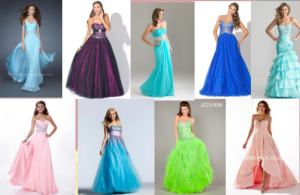 Dress is formal – long dresses. NO SHORT DRESSES! LONG MEANS….TO THE ANKLES. 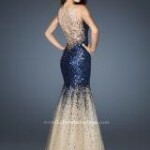 Dresses should not have cutouts, see-through panels, be backless, or have a bare midriff. All dresses must not have slits higher than two inches above the top of the knee. Pass on this information to everyone you invite. Here are samples of what is NOT appropriate (the X photo) and what is appropriate. We reserve the right to refuse entrance to anyone dressed inappropriately. We have turned away young ladies who were inappropriately dressed. NO TICKET REFUND….. THESE INAPPROPRIATE BACKS LOOK LIKE A BATHING SUIT. LEAVE THE BATHING SUIT LOOK FOR THE POOL! Purchase tickets at the front desk at HEP Bookstore or call 281-922-0472 for more information. Open to HEP students and other homeschoolers. Come and enjoy an unforgettable evening of dining, dancing, Senior recognition, and fun! Sponsored by Home Education Partnership of Texas, Inc. Going to Prom this year? If so, pre-order your photos now so that on the big night, all you have to do is smile for the camera! There are several packages from which to choose. Pick the one you like best and place your order. It is that simple! No more messing with checks or cash the night of the prom.